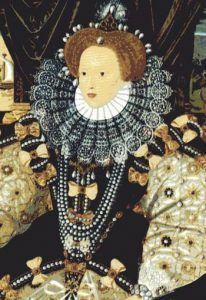 Citation: C N Trueman "Elizabeth I and France"
France was to be a constant thorn in the side of Elizabeth I throughout her reign. England had lost the last of her territories in France during the reign of Mary, when Calais was lost. Therefore, France controlled the whole of the northern coastline and posed a major threat to England. A second major issue that had to involve France was the treatment of Mary Stuart, (Mary, Queen of Scots). Mary had been married to Francis II, King of France. His early death led to Mary returning to her native Scotland but she was still held in high regard in France and had many powerful supporters there. When Mary declared that she was the rightful heir to the English throne and that Elizabeth was illegitimate, she received support from France. None of this boded well for Anglo-France relations. France had given military help to Scotland during the ongoing problems between England and her northern neighbour. In fact, the only thing that seemed to help out England with regards to France was Spain. While England and Spain had a good relationship, France could not afford to antagonise England for fear that Spain might attack from the southwest. Likewise, France could not afford to attack Spain without risking a war on two fronts if England attacked from the north. Just two years into her reign, Elizabeth had a success against the French. The French had announced their intention to help the Scots defeat the revolt of the Lords of the Congregation. At the same time, the French stated that Mary was the rightful Queen of England. Rather than waiting for more French troops to land in Scotland, Elizabeth sent troops into Scotland and forced the French force at Leith to negotiate a settlement. In the Treaty of Edinburgh (July 6th 1560) it was agreed that all English and French troops would withdraw from Scotland and that Mary Stuart would renounce her use of the coat of arms and title of England. From 1562 on France was enveloped in the French Wars of Religion. While this civil war continued, there was less pressure on the English as France had too many internal problems to deal with. Elizabeth, supported by the Privy Council, used the turmoil in France to reassert an English presence there. In particular, Elizabeth and Cecil wanted to reclaim Calais. It was an unsuccessful venture as the various factions in France joined forces to repel a common enemy. After 1564, Catherine de Medici ruled as regent in France for Charles IX. Catherine was not sympathetic to the cause of Mary Stuart and without the support from Paris; Mary’s plight in Scotland was made a lot more difficult. This obviously helped Elizabeth. One area that Elizabeth and Cecil tried to exploit was to use the French against the Spanish in the Netherlands. This opportunity came when Catherine withdrew French support for Mary Stuart, thus helping Elizabeth with the ‘Scottish problem’. By being freer of issues north of the border, Elizabeth and her advisors could concentrate more of their time on the pressing issue of what was happening in the Netherlands – the major issue being that the Duke of Alva was just thirty miles across the English Channel with 50,000 soldiers at a time when relations between London and Madrid were deteriorating. To advance and develop the newfound friendship between England and France, Elizabeth began negotiations to marry the Duke of Alençon, though this came to nothing. It was not until 1578 that France was once again in a position to help the Dutch rebels when the Duke of Anjou agreed to send French troops to the Netherlands. To ensure that Anjou kept to his word, Elizabeth offered him her hand in marriage. This provoked furious reactions among certain sections of society in England, which in themselves provoked Elizabeth into vicious reprisals. John Stubbs, who wrote a book attacking the planned marriage, had his right hand cut off, as did the distributor. The punishment was carried out in public in Westminster and the reaction of the crowd should have indicated to the Queen that there was much sympathy for the two men. However, there was some logic in what Elizabeth planned which the public probably did not realise. Philip of Spain was becoming increasingly more powerful and Elizabeth believed that only by combining the power of France and England could this Spanish threat be countered. The prospective marriage between Elizabeth and Anjou never took place but Elizabeth still offered Anjou support for his expedition into the Netherlands – to the sum of £60,000. Anjou’s campaign was a failure but the developments in Anglo-French relations since 1558 showed that the hostility that existed at the end of Mary’s reign had diluted.